30.04.18 17:08 Transfer Sent Payment: 60.00 USD to account U16675263 from U1294xxx. Batch: ‎213020731. Memo: Shopping Cart Payment. Deposit to BTC PRO User allhyips. 02.05.18 21:12;Account;Receive;Received Payment 1.26 USD from account U16675263 to account U1294000. Batch: 213545783. Memo: API Payment. Withdraw to allhyips from BTC PRO. 01.05.18 21:45;Account;Receive;Received Payment 1.26 USD from account U16675263 to account U1294000. Batch: 213445903. Memo: API Payment. Withdraw to allhyips from BTC PRO. 03.05.18 21:18;Account;Receive;Received Payment 1.26 USD from account U16675263 to account U1294000. Batch: 213646629. Memo: API Payment. Withdraw to allhyips from BTC PRO. 04.05.18 20:13;Account;Receive;Received Payment 1.26 USD from account U16675263 to account U1294000. Batch: 213736822. Memo: API Payment. Withdraw to allhyips from BTC PRO. 05.05.18 20:31;Account;Receive;Received Payment 1.26 USD from account U16675263 to account U1294000. Batch: 213827596. Memo: API Payment. Withdraw to allhyips from BTC PRO. 07.05.18 07:41;Account;Receive;Received Payment 1.26 USD from account U16675263 to account U1294000. Batch: 213946020. Memo: API Payment. Withdraw to allhyips from BTC PRO. 07.05.18 20:38;Account;Receive;Received Payment 1.26 USD from account U16675263 to account U1294000. Batch: 214025756. Memo: API Payment. Withdraw to allhyips from BTC PRO. 09.05.18 06:02;Account;Receive;Received Payment 1.26 USD from account U16675263 to account U1294000. Batch: 214161121. Memo: API Payment. Withdraw to allhyips from BTC PRO. 10.05.18 06:52;Account;Receive;Received Payment 1.26 USD from account U16675263 to account U1294000. Batch: 214258412. Memo: API Payment. Withdraw to allhyips from BTC PRO. 11.05.18 21:55;Account;Receive;Received Payment 1.26 USD from account U16675263 to account U1294000. Batch: 214429695. Memo: API Payment. Withdraw to allhyips from BTC PRO. 11.05.18 10:56;Account;Receive;Received Payment 1.26 USD from account U16675263 to account U1294000. Batch: 214375560. Memo: API Payment. Withdraw to allhyips from BTC PRO. 12.05.18 23:09;Account;Receive;Received Payment 1.26 USD from account U16675263 to account U1294000. Batch: 214519645. Memo: API Payment. Withdraw to allhyips from BTC PRO. 14.05.18 11:45;Account;Receive;Received Payment 1.26 USD from account U16675263 to account U1294000. Batch: 214655857. Memo: API Payment. Withdraw to allhyips from BTC PRO. 15.05.18 07:21;Account;Receive;Received Payment 1.26 USD from account U16675263 to account U1294000. Batch: 214741091. Memo: API Payment. Withdraw to allhyips from BTC PRO. 16.05.18 11:45;Account;Receive;Received Payment 1.26 USD from account U16675263 to account U1294000. Batch: 214880900. Memo: API Payment. Withdraw to allhyips from BTC PRO. 17.05.18 15:03;Account;Receive;Received Payment 1.26 USD from account U16675263 to account U1294000. Batch: 215004942. Memo: API Payment. Withdraw to allhyips from BTC PRO. 19.05.18 02:46;Account;Receive;Received Payment 1.26 USD from account U16675263 to account U1294000. Batch: 215142205. Memo: API Payment. Withdraw to allhyips from BTC PRO. 19.05.18 02:45;Account;Receive;Received Payment 1.26 USD from account U16675263 to account U1294000. Batch: 215142175. Memo: API Payment. Withdraw to allhyips from BTC PRO. 21.05.18 01:08;Account;Receive;Received Payment 1.26 USD from account U16675263 to account U1294000. Batch: 215301510. Memo: API Payment. Withdraw to allhyips from BTC PRO. 21.05.18 01:08;Account;Receive;Received Payment 1.26 USD from account U16675263 to account U1294000. Batch: 215301480. Memo: API Payment. Withdraw to allhyips from BTC PRO. 22.05.18 01:36;Account;Receive;Received Payment 1.26 USD from account U16675263 to account U1294000. Batch: 215405476. Memo: API Payment. Withdraw to allhyips from BTC PRO. 23.05.18 11:22;Account;Receive;Received Payment 1.26 USD from account U16675263 to account U1294000. Batch: 215552471. Memo: API Payment. Withdraw to allhyips from BTC PRO. 25.05.18 05:23;Account;Receive;Received Payment 1.26 USD from account U16675263 to account U1294000. Batch: 215729765. Memo: API Payment. Withdraw to allhyips from BTC PRO. 25.05.18 05:23;Account;Receive;Received Payment 1.26 USD from account U16675263 to account U1294000. Batch: 215729733. Memo: API Payment. 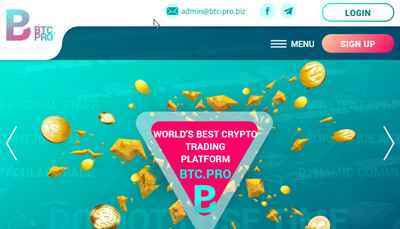 Withdraw to allhyips from BTC PRO.